When they were just kids, Tennis Innovators’ Cesar and Juan Andrade came to the United States from Ecuador with their family, first settling in Malverne, Long Island before going to live in Queens. It is there, where the two brothers’ love for tennis began. Along with their two sisters, the Andrade’s would attend free morning programming held by the City Parks Foundation on the weekends at Juniper Valley Park. Cesar was about nine when his family came over to the U.S., and he remembers his dad giving him lessons back in Ecuador when he was younger. While he liked the sport, soccer was his first love, but that would quickly change to tennis the more and more he attended those programs with his brothers and sisters. Juan, who is just a few years younger than Cesar, also immediately took to the game. The two would both go on to have solid playing careers and found themselves entering the coaching world, carrying with them the same values and principles instilled in them through those free community programs. The Tennis Innovators brand was born inside Juan’s midtown Manhattan apartment, with those same philosophies in mind. The two were both working at Sportime Harbor Island and had worked their way up the ranks. In his free time, Juan began brainstorming ideas and crafting new concepts for 10U programs in New York City. “He started to get the itch to do his own thing,” Cesar said of his brother. “Being in the city was sort of an inspirational environment for him to be in. He made a bold move and started crafting concepts for 10U programs. He is the founder of the brand, the logo, and the whole concept. One of Juan’s goals was to create a club-like feel no matter where he popped up the program, whether it was in midtown or Harlem. He got a sense of the tennis landscape in New York City from his time at the Central Park Tennis Center, and wanted to improve upon it. Juan continued to go around the city to rent space and bring his innovative programming to all corners of New York City. From there, he began a summer camp and Tennis Innovators was taking off. 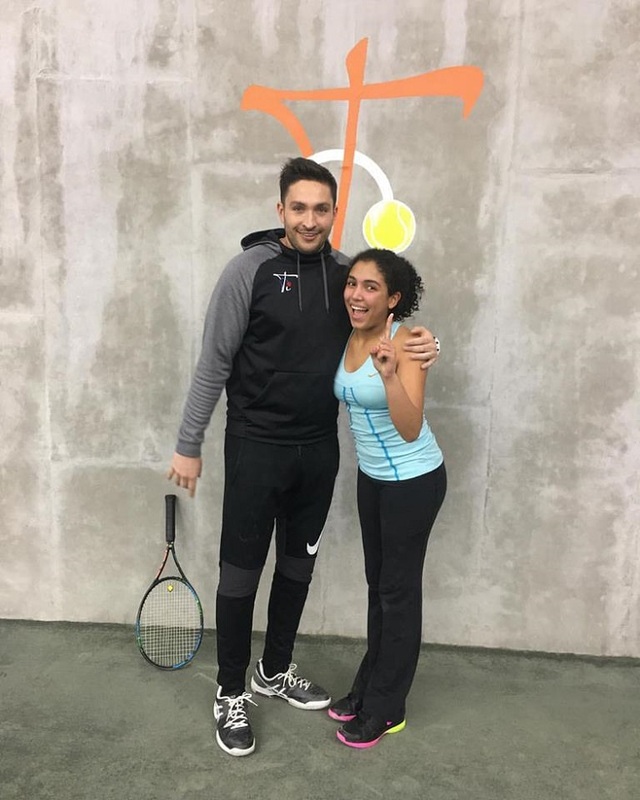 Now, the program has expanded throughout New York City, and back in January of 2015, they were able to launch their first flag ship location in Delfino Park, White Plains, N.Y., Tennis Innovators Academy (TIA). TIA is an eight-court indoor/outdoor facility catering to all ages and levels with curriculum-based academy programs, private lessons and seasonal courts. Cesar is the director of operations and owner at this facility, while Juan manages the vision behind the marketing and branding of all TIA business as the marketing director, and the owner and operator of all Tennis Innovator NYC business. While the programs in the city and the academy in White Plains differ, the core principles and values of their teachings remain the same. The quality of the programming is another similarity between New York City and White Plains. While Juan is in the city and is somewhat limited because of space and the costs of court time, bringing high-quality tennis instruction with passion is something that is the basis of Tennis Innovators, regardless of where it is located. 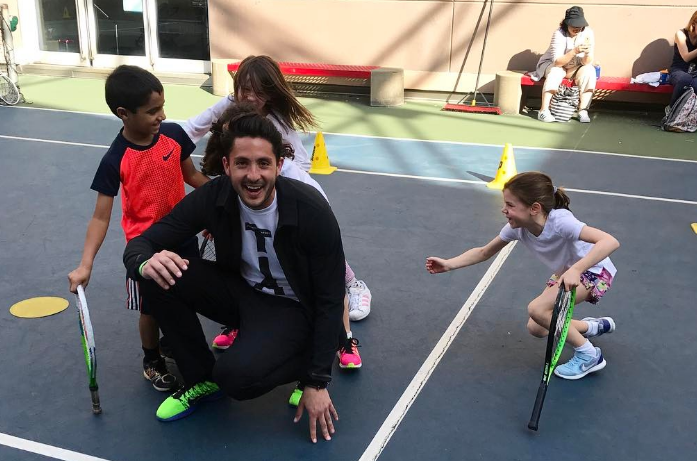 The desire to provide kids, from whatever background or demographic, with tennis is engrained in both Juan and Cesar from their days as kids playing in New York.